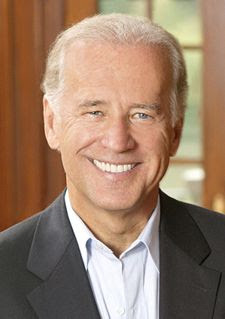 Everywhere in the news today the announcement by Barack Obama has been made that he has selected his Vice-presidential running mate, Mr. Joseph Biden of Delaware. Born in November of 1942, and now presently serving his 6th consecutive term in the U.S. Senate. Ratification of Obama's selection of Joe Biden will take place during the Democratic National Convention in Denver Colorado during the week of 8/25/08. Presently as he holds a Senate Congressional Seat in the 110th U.S. Congress, he is the Committee Chairman on Foreign Relations, Sub-committee Chairman on crime and drugs, and co-chairman of the Caucus on International Narcotics Control. His resume 'on the hill' in Washington contains a total 36 years of service in the U.S. Senate. 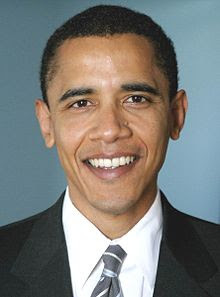 Unlike Barack Obama, he controversially voted for the Iraq war. But in a speech made directly in front of John McCain during a debate on the binding Iraq-withdrawal bill that would require George Bush to withdraw troops, he ripped the GOP for the bad policy and bad leadership that he claims looses wars. He claims that we went to war unnecessarily and ill equipped and that the "President of the United States has harmed harmed us" and it is time to bring the troops home. Along with Barack Obama naming Joe Biden as his running mate in the news story by Tom Baldwin in Denver for TimesOnline, you can watch the video below of the Joe Biden Speech in the U.S. Senate as he rips the GOP on the war policies. With the video above highlighting a speech in the U.S. Senate, it appears that Barack Obama has chosen a highly qualified man to serve as his Vice-President, and holds the credentials needed to step in as acting President if Barack Obama was unable to fulfill his duties as President of the United States. In another poll, do you feel that Barack Obama has named the correct man for the #2 position as Vice-President? You can find this poll along side the presently running poll about John McCain and Barack Obama.